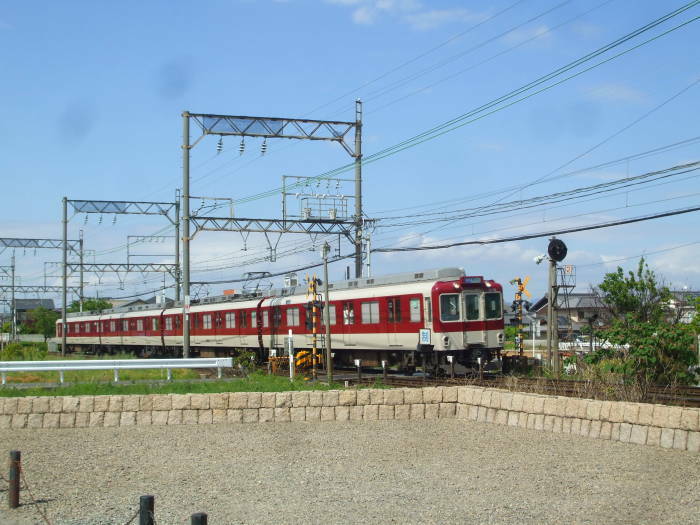 I returned from the kofun of Empress Jingū to the Heijo railway station. I rode one stop south on the Kintetsu Kyōto Line to the Yamato-Saidaiji station, then changed for a local train going south. I got off at the first stop, at Amagatsuji. 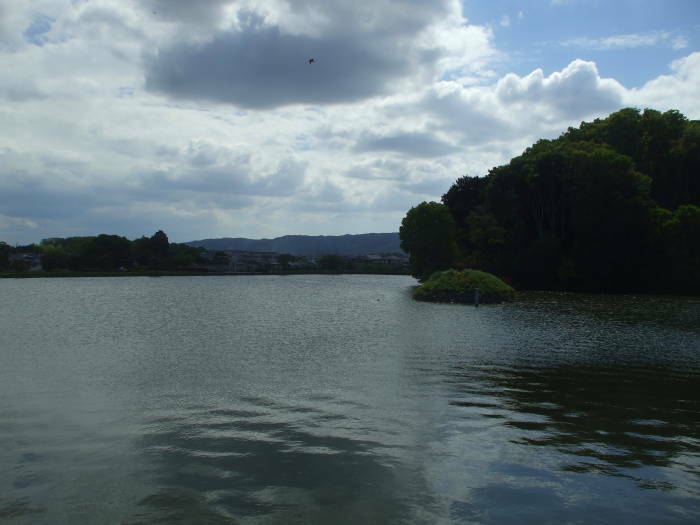 This kofun is believed to have been built in the second half of the 4th century. 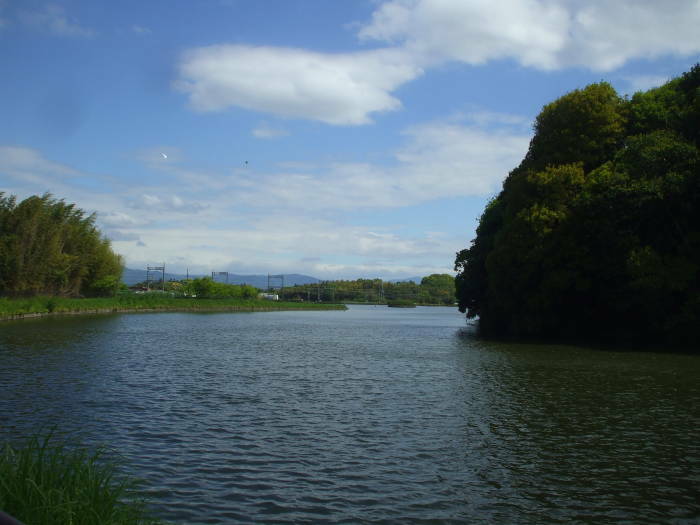 The moat is unusually large, 330 meters in length and extra broad at the bottom end. 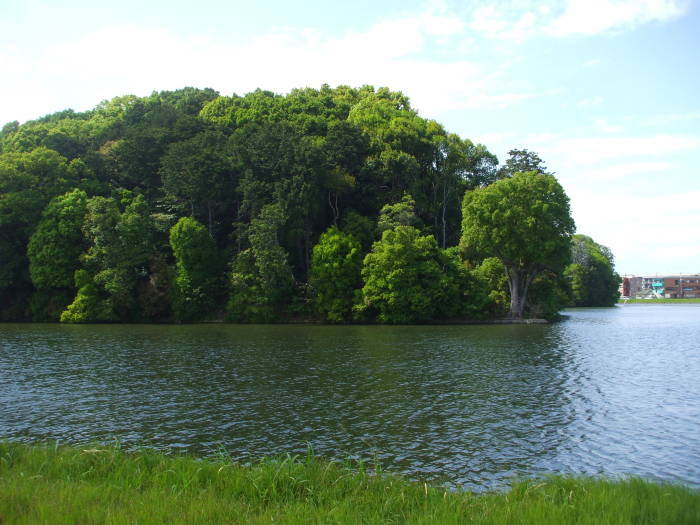 The southeastern part of the moat was expanded, leaving a small island from the original levee. 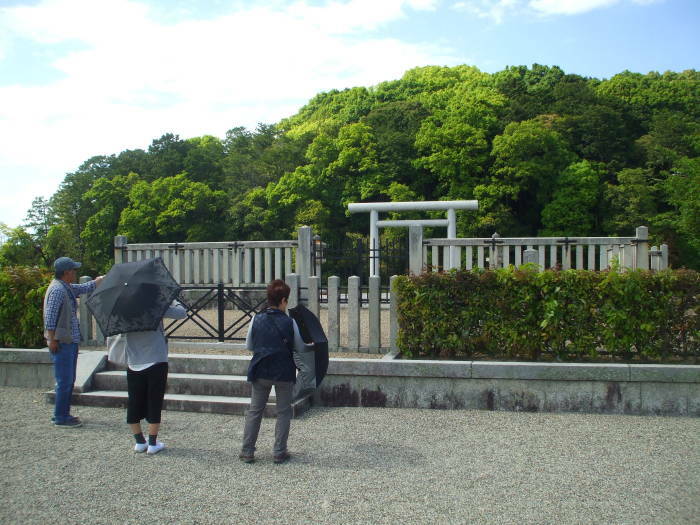 The kofun was looted in 1849, in the latter years of the Shōgunate and soon before the Meiji Restoration brought the Emperor back to power and re-established the Imperial cult. Records indicate that it had the typical rectangular megalithic tomb chamber, and a variety of cylindrical and symbolic shaped haniwa or terracotta figures. 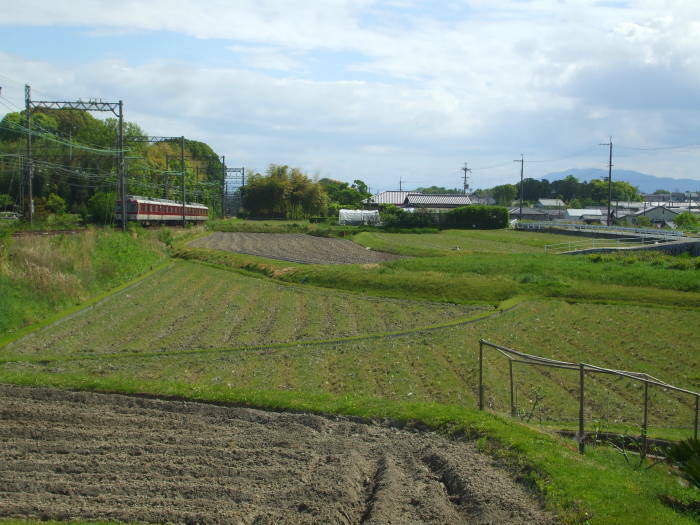 In the first picture below I am approaching the northeast quadrant of the moat from the Amagatsuji train station. In the last picture above I'm looking to the west, across the top end of the moat, past the top end of the circular part of the mound. In the first picture below I have turned to look to the south, past the east edge of the circular part. 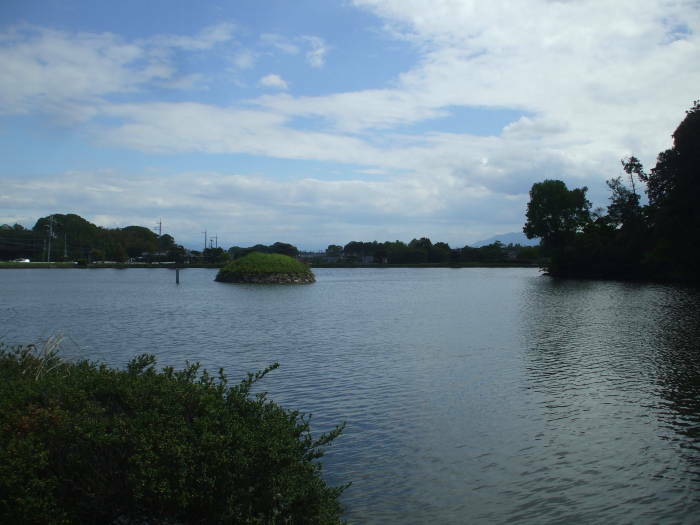 The small island is visible in the distance. Above and below I am walking south along the east bank of the moat. Above and below I walk around the wide southeastern perimeter of the moat. 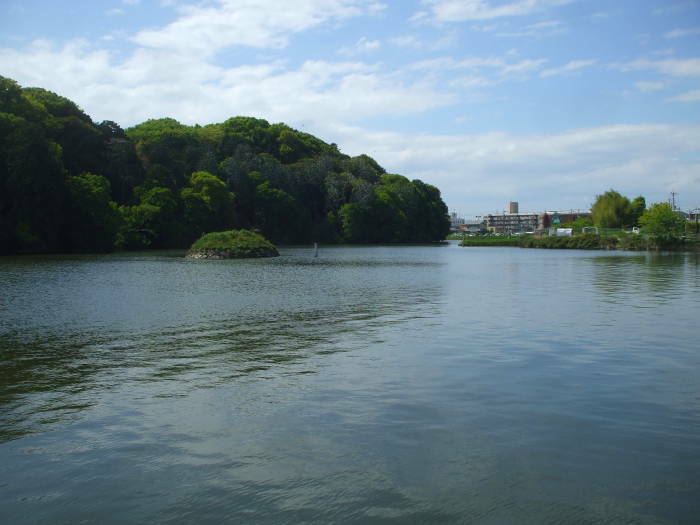 The circular island lies closer to the kofun than to the outer edge of the moat. Above I'm looking north, past the southeast corner of the bottom end of the kofun to the east edge of the circular section. Below is the viewing or visiting platform. 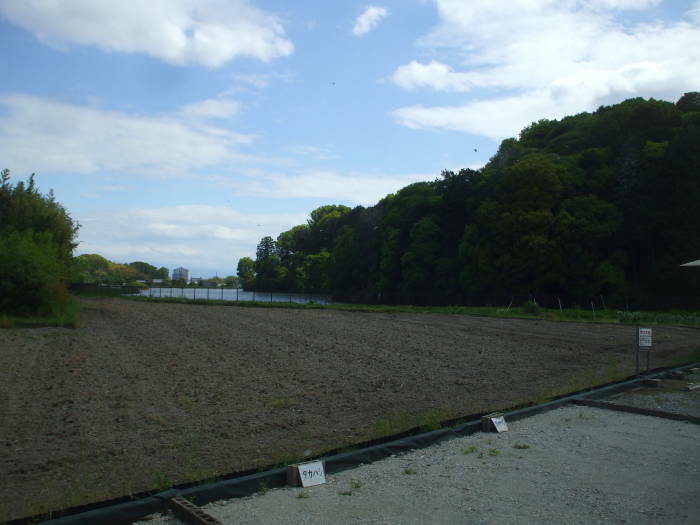 I frequently was not the only visitor to the various kofun. But I was always the only visitor from outside Japan. 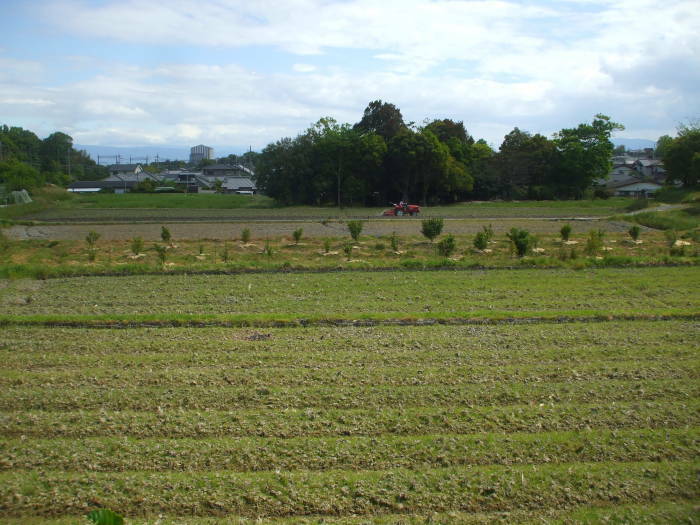 Small farms lie all around this kofun. The rail line runs north and south nearby. Below I see a local train continuing south. 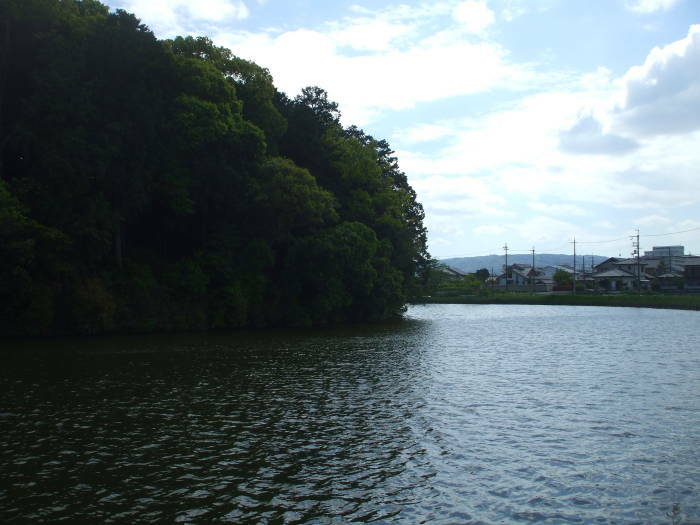 I walked to the Tōshōdai-ji Buddhist temple complex in the woods beyond the train in the last picture. After visiting that temple, I continued walking south to the Nishinokyō station and return to Nara. 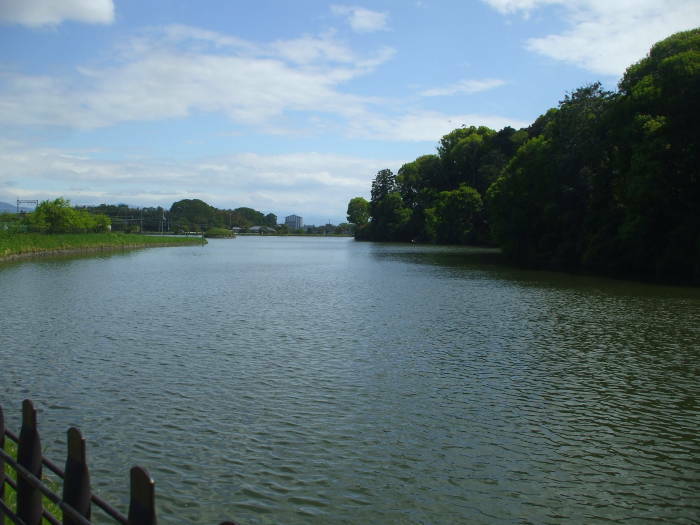 That's adjacent to the Yakushi-ji temple complex, see my pictures of it on the page about Nara. Emperor Suinin, the 11th Emperor, is said to have reigned from 29 BCE to 70 CE, when he died at the age of 138. A wrestling match between Nomi no Sukune and Taima no Kehaya during his reign is said to be the origin of Sumo wrestling. This is another Legendary Emperor with a posthumously assigned Chinese name of Buddhist meaning, purportedly ruling Japan before Buddhism arrived in China, centuries before it arrived in Japan. In case Suinin isn't speculative enough, the Imperial Household Agency hypothesizes that the small island is the tomb of Mamoru Tagaido (or so Google translation renders the name).